Graph technologies are the scaffolding for building intelligent applications, enabling more accurate predictions and faster decisions. In fact, graphs are underpinning a wide variety of artificial intelligence (AI) use cases. This blog series is designed to help you better leverage graph analytics to effectively innovate and develop intelligent applications faster. Last week we looked at a variety of use cases for graph analytics, from real-time fraud detection to recommendation engines. This week we’ll delve deeper into a few of the ways that a graph database like Neo4j supports numerous AI use cases. 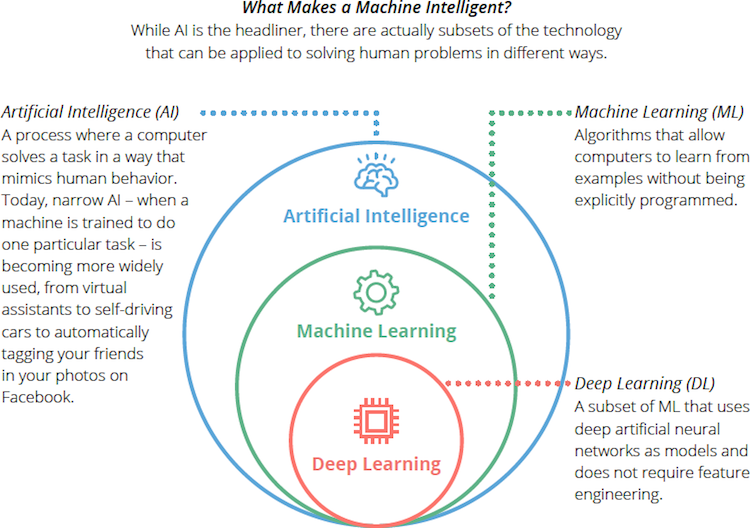 Andrew Ng, a preeminent thought leader in the field, includes knowledge graphs as one of the five main areas of AI. Knowledge graphs represent knowledge in a form usable by machines. Graph analysis surfaces relationships and provides richer and deeper context for prescriptive analytics and AI applications like TextRank (a PageRank derivative) alongside natural language processing (NLP) and natural language understanding (NLU) technologies. For example, in the case of a shopping chatbot, a knowledge graph representation helps an application intelligently get from text to meaning by providing the context in which the word is used (such as the word “bat” in sports versus zoology). Graphs are used to feed machine learning models and find new features to use for training, subsequently speeding up AI decisions. Graph centrality algorithms such as PageRank identify influential features to feed more accurate machine learning models and measurable predictive lift. Graph analysis computes Boolean (yes/no) answers in real time and continuously provides them as a tensor for AI recalculation and scoring. An operational graph – replacing a rules engine to run AI – is a natural, next step for intelligent applications. 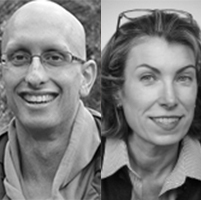 As coding AI systems in graphs becomes a norm, it will enable the tracking of AI decisions. This kind of decision tree lineage is essential for adoption and maintenance of AI logic in critical applications. Graph analytics lift out global structures and reveal patterns in your data – without you requiring any prior knowledge of the system. For example, community detection and other algorithms are used to organize groups, suggest hierarchies, and predict missing or vulnerable relationships. In this way, you are essentially using graph-driven theory development that infers micro and macro behaviors. The adoption of AI in part depends largely on the ability to trust the results. Human-friendly graph visualizations display or explain machine learning processes that are often never exposed within ML’s “black box.” These visualizations serve as an abstraction to accelerate data scientists’ work and to provide a visual record of how a system’s logic has changed over time. Visualizations help explain and build confidence in and comfort with AI solutions. Graphs serve as a source of truth for all your related AI components to create a pipeline for iterative tasks. They automate the sourcing and capture of related AI components so that data scientists focus on analysis and more easily share frameworks. AI is a burgeoning area for graph technology. Many customers are using building intelligent applications using Neo4j. 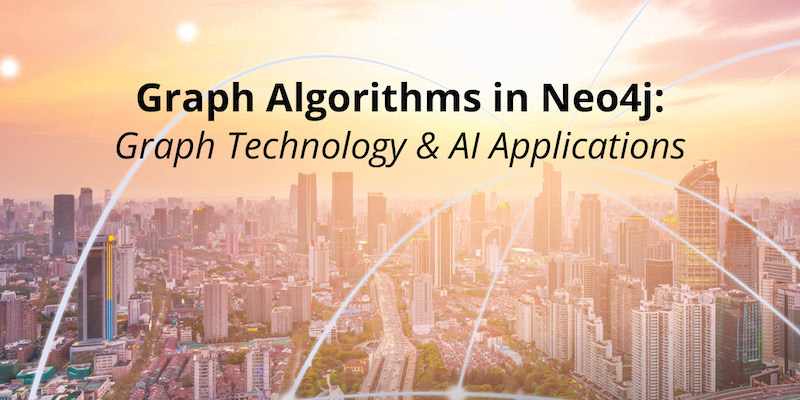 In our next blog in this series, we’ll dive deeper into graph algorithms in the Neo4j platform and explain the three main types of graph algorithms.